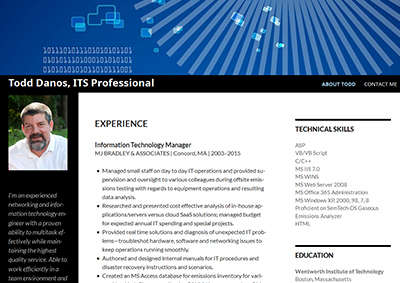 TJDanos.com is a small portfolio site for an IT professional in New England, launched in Spring of 2015. 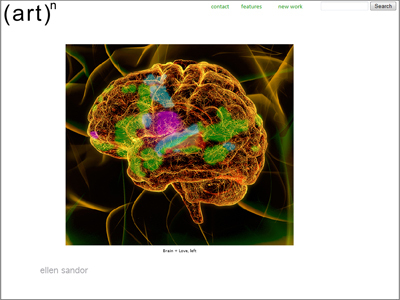 I built it with the twentyfourteen theme (the same theme this website uses, that’s how much I like it! ), with only a few customized tweaks to font and color, and some layout touch-ups for the mobile views. 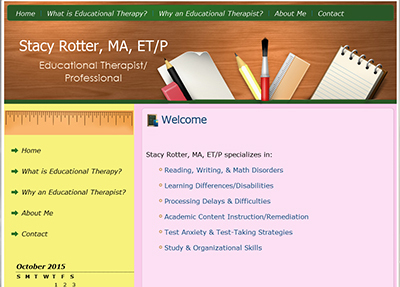 TheEdTherapist.com is a portfolio site for an educational therapist in Los Angeles, launched in 2013. Ms. Rotter chose her preferred theme and clearly outlined the layout and design edits she required. I’m sad to say it is not currently optimized for mobile. 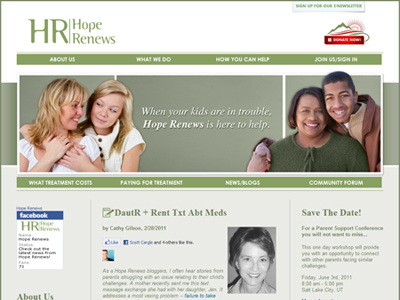 I think I’ll give her a call to fix that…..
HopeRenews.org launched in January 2010. 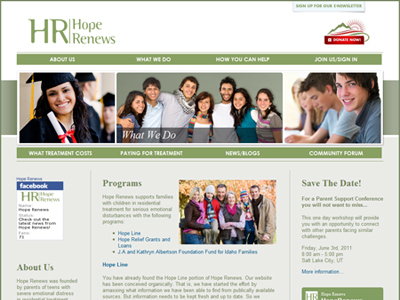 They brought it to me in October 2009 with the design, content and architecture already set, with the requirement that it include a community forum for their members, and be easy to maintain for their staff. 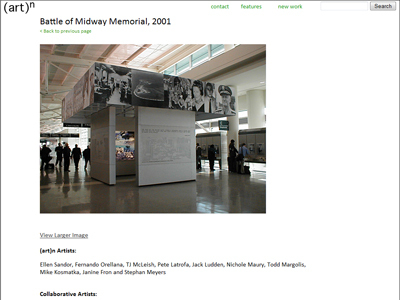 I built it using Drupal 5, because at that time, Drupal’s community modules were better than WordPress’s Buddypress. This was my first experience with Drupal, and the lessons I learned from it have (surprisingly) carried through with my many WordPress sites. 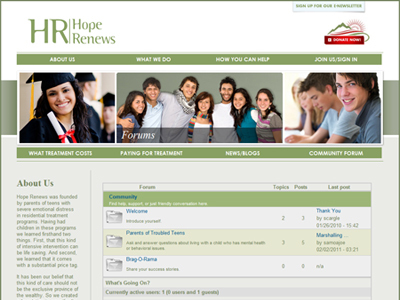 Unfortunately, the Hope Renews site is no longer active. 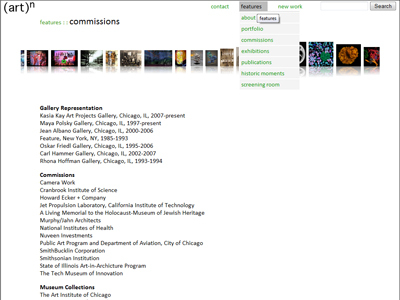 artn.com launched in April 2010. The original, already extensive, site had been designed in Flash, and they wanted something easier to update with new content. 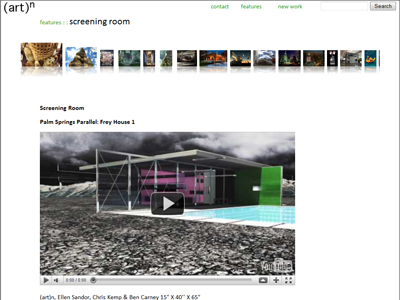 The new site was designed by Jack Ludden, and I developed it using Drupal 5 and Flash CS4 with an xml backend that would be easy for staffers to revise. The greatest challenge in this project was transferring all of their existing content to the new mysql database. Since that initial launch, the site has been updated a few more times, most recently in late 2013 when I converted all of the slideshows to HTML5 to make the site more mobile-friendly.